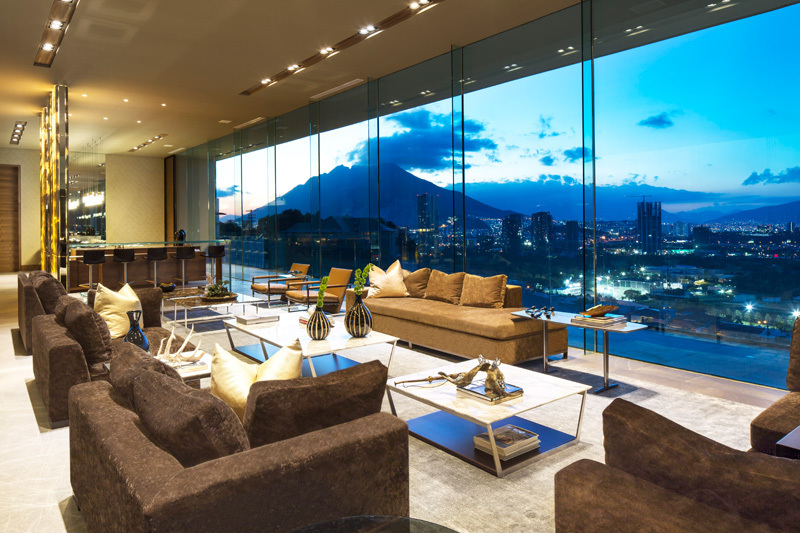 A sophisticated modern home with a view of the city and the mountains. While others are not really considering what they will see around their homes, some homeowners are very particular of the views from their home because this can add to the relaxing aura of their space. That is why some homeowners prefer a tall house with balcony or roof deck where they can see the city or the waters or the mountains. Still others may have a one-storey home but still faces beautiful views around them. 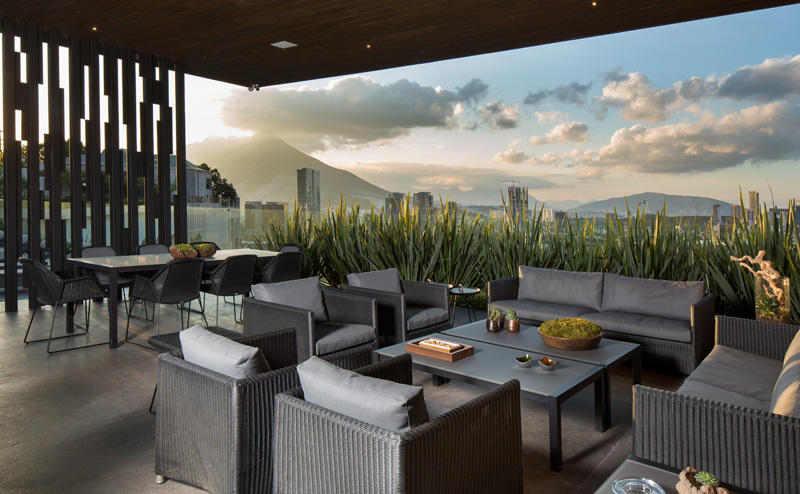 This is what we can see from the house designed by Architect Gilberto L. Rodríguez of GLR Arquitectos located in Mexico. 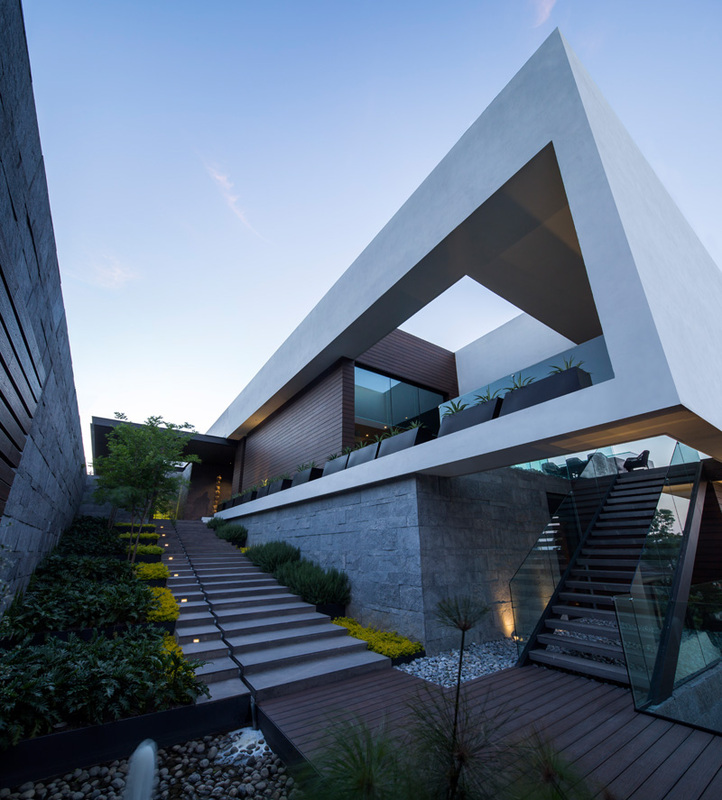 The residence is called MT House which sits on the foothills of the Sierra Madre Oriental mountains, in Monterrey, Mexico. 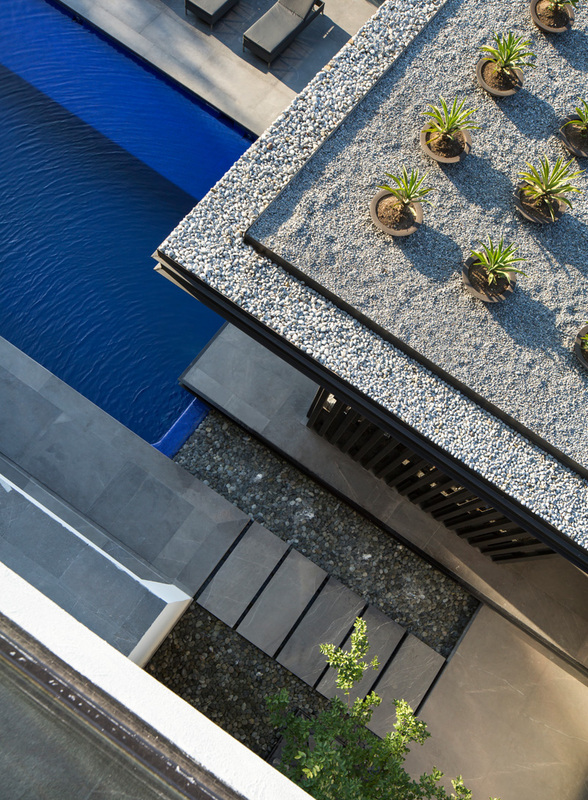 Once you see the house, you will be welcomed by a stepped landscape garden that has decorative water features. From the stairs, different areas of the home can be accessed including the swimming pool and outdoor living area. The water feature leads to the outdoor entertaining pavilion located next to the swimming pool, the two areas look very attractive, inviting and gorgeous all together. The pavilion is a nice space to relax and dine which also has an outdoor kitchen, barbeque grill area and bar. Aside from that, there is also an outdoor dining space with a feature fireplace. In the open plan interior, it could receive amply natural light because of its floor-to-ceiling glass wall. It has a living area with bar which is a perfect place for entertainment. Outdoors, it also has a beautiful landscaping that adds more appeal to the entire home. Unique feature: The grand modern home which has a beautiful interior, high-quality furniture and a breathtaking view of the city. 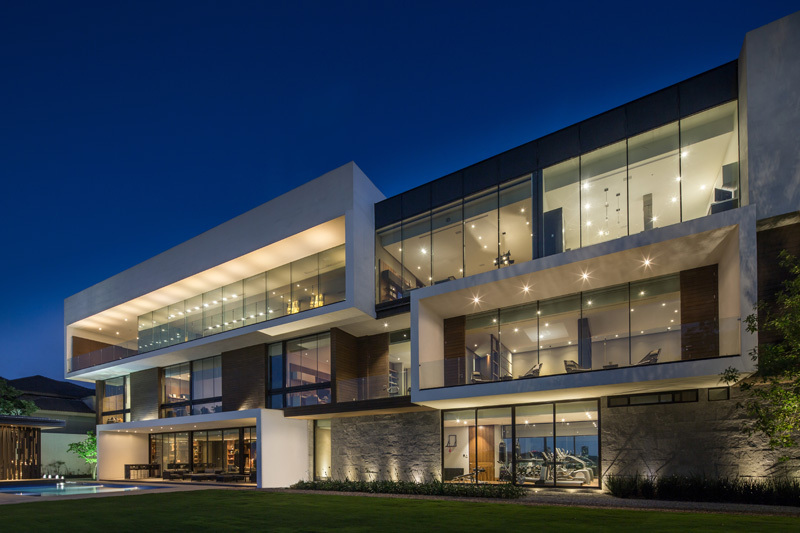 This is indeed a big house indeed with glass walls and windows to allow the owners to get a good view of its surroundings. 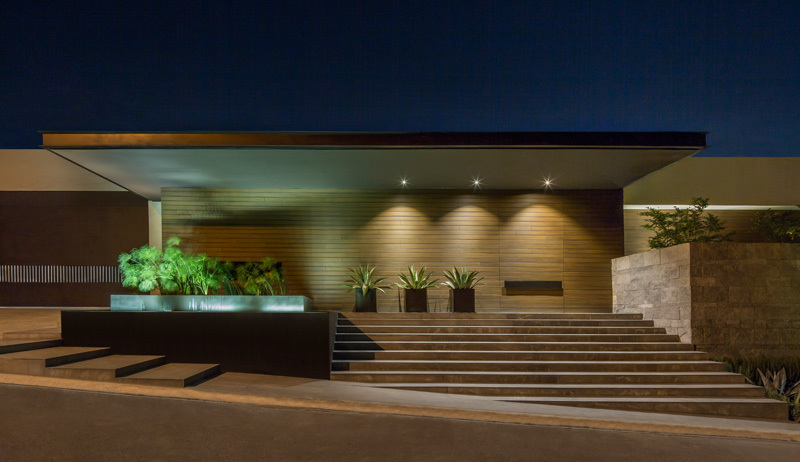 It has beautiful dramatic lightings used in it that adds appeal to the exterior. In the outdoor area, you can see many beautifully designed spaces with a mix of wood, concrete, glass and others. Dramatic lightings are also added in the area. 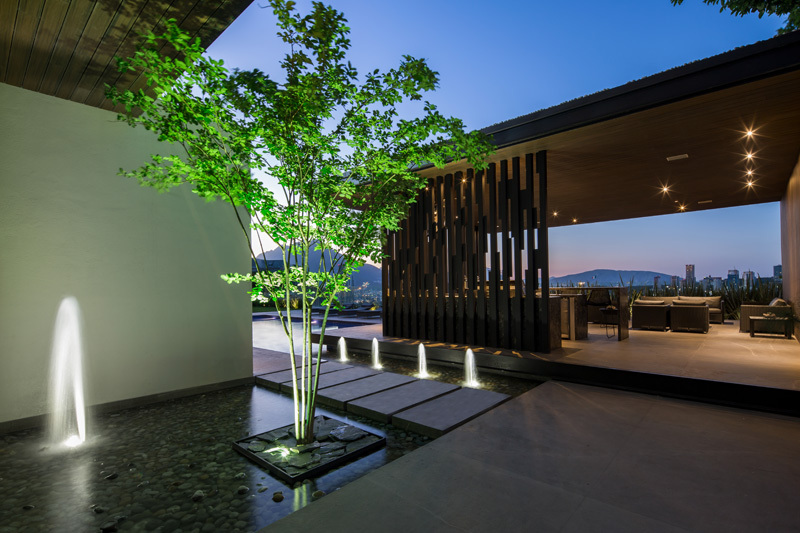 Guests are welcomed by this sight with steps and a water feature. Notice the gorgeous landscaping of the area too as well as the variety of materials used here. As you look into this area, you can sense that there is indeed more in the interior because even in the exterior, it is already attractive with a contemporary style. I like the idea of how the staircase is inserted in under cantilevered concrete. The pool area is just simple with a geometric design. It is rectangular in shape that is adorned with lights. In this photo, you can also see the breathtaking view of the city. It would be nice to dip in the pool even during the night with a view like this! Apart from the pavilion and pool area, this is another lovely spot in the outdoor space with a water feature. The pavilion has an outdoor dining and living area. From there, you can spend time with family and friends as you look around your surroundings and as you feel the relaxing aura of the space. Seen here are contemporary outdoor materials. 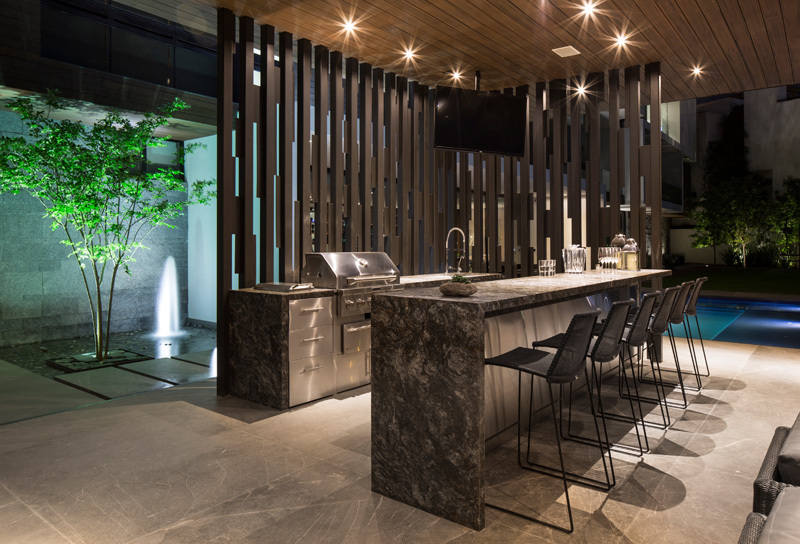 There is also an outdoor kitchen with modern equipment and appliances. Seen here is a kitchen island that used marble for the counters. You can even see the water feature from here. The outdoor stairs with glass handrails connect to the various levels of the home. Using glass add more sophistication to the house. At the top of the stairs is another outdoor space where one can get views of a golf club in the foreground. In the upper level, there are different living areas both inside and outside the house. 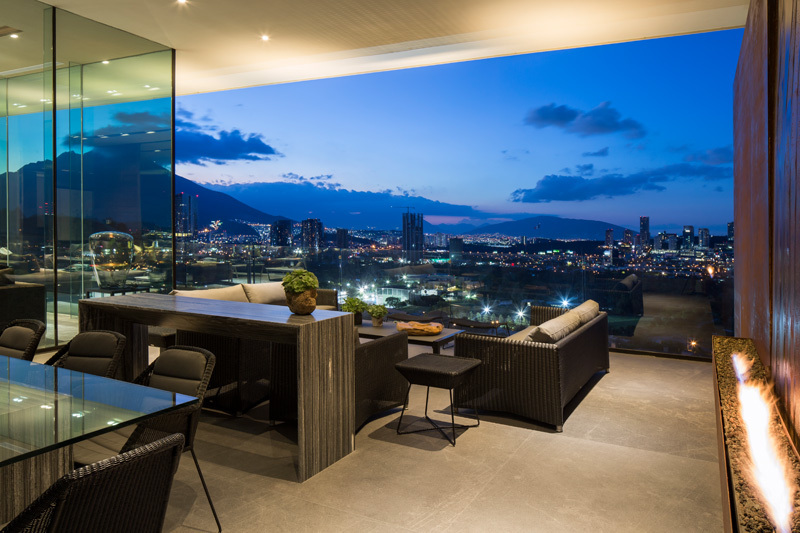 It also has a spacious balcony where one can enjoy the city views as well as the majestic “Cerro de Las Mitras”, a distinctive mitre-shaped mountain that can be seen from the house. 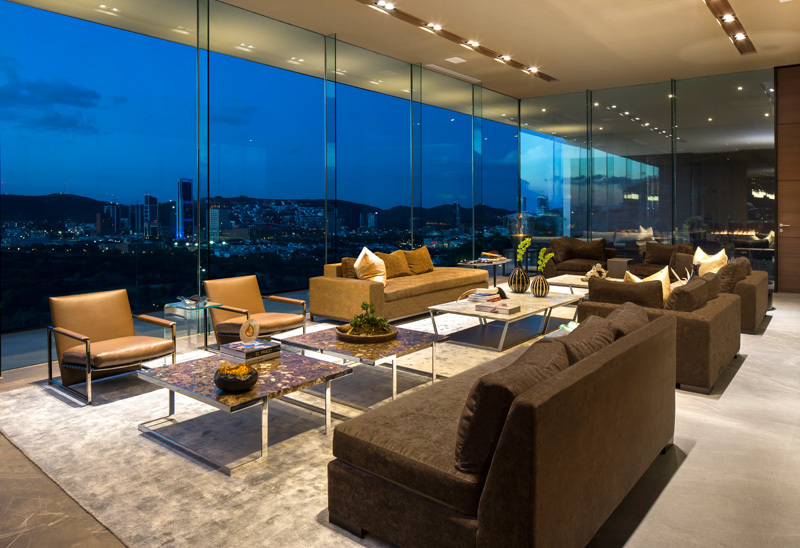 This is a living area where the furniture is laid out to take advantage of the view. Notice that it used glass walls here too. The living space is composed of two groups with different furniture that compliments with each other. You can see that it used modern colors even for the furniture. Because it has an open floor plan, it isn’t just the living area that can be seen but even the kitchen with counter height stools for the island. And I like that feature wall as well as how the space is lighted. This is the second living space that has a dining table located next to a large mirror. The mirror gives the room an even larger look aside from the glass windows. 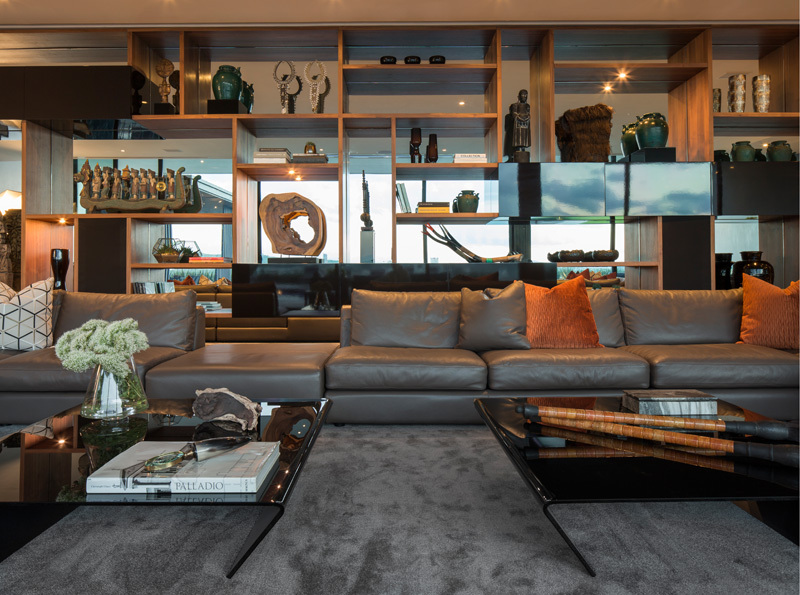 A notable feature of the living room is a floor to ceiling shelving unit that shows the home owner’s curiosities and collections. It is backed with a mirror as well. The dining area looks even nicer with the use of transparent chairs and glass dining table. Such a pleasant home indeed! This is a view of the outdoor landscaping on the roof of the pavilion that is located next to the swimming pool. When viewed from above, this is how the garden on the upper level of the house looks like. It looks nice right? Especially that you can see the pool area. Even without the city views, the house will still look amazing because it is designed beautifully and even its own landscaping is very impressive. But then, a view of the city is available which makes it more mind blowing. This home is designed by Paul de Ruiter Architects who apparently was able to give the owners the kind of home that they want. There are many lovely features of the house but what I like most is its luxurious appeal brought by glass and its other elements as well as well as the landscaping too. How about you, what do you like about the house?